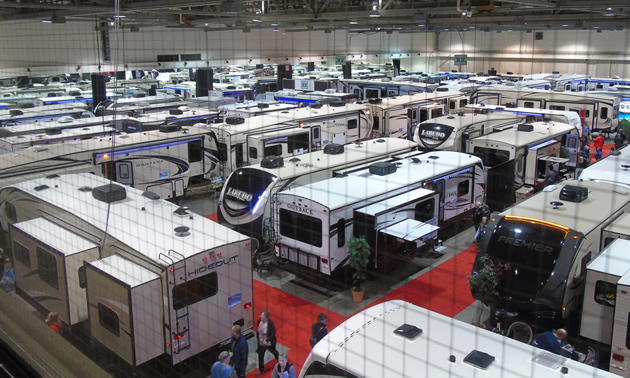 The 2018 Calgary RV Expo & Sale took place from January 25 to 28 at the BMO Centre in Stampede Park, with a mind-boggling number of RVs on display and dozens of accessory vendor stations. Next year the annual event will celebrate its 50th occurrence. 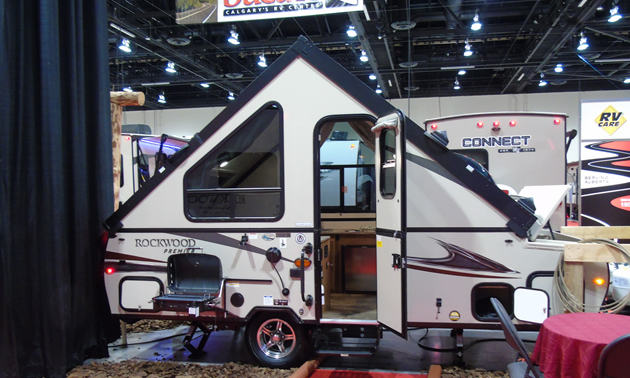 Many RVs on display were sleeker and more luxurious than ever, accommodating the full-time or long-time RVing lifestyle. 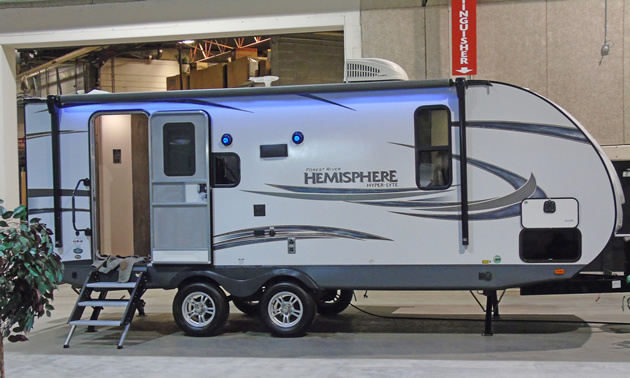 These attractive, spacious and comfortable units have high-end, high-quality finishes and accessories that make staying indoors a pleasure. 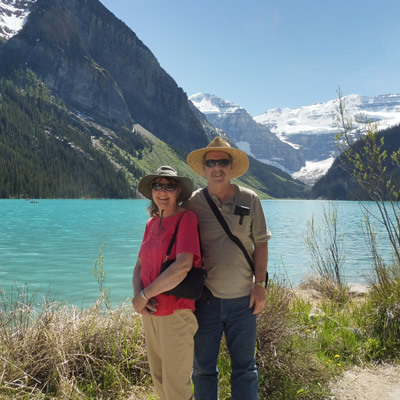 There’s also a notable trend toward accommodating the active, outdoors-oriented vacationer. 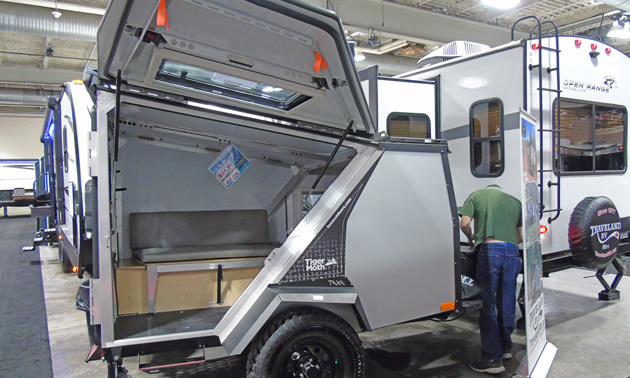 In these trailers, storage capacity for boards, bikes, boats and other gear is generous and accessible, and while conveniences are included, they are streamlined and compact. 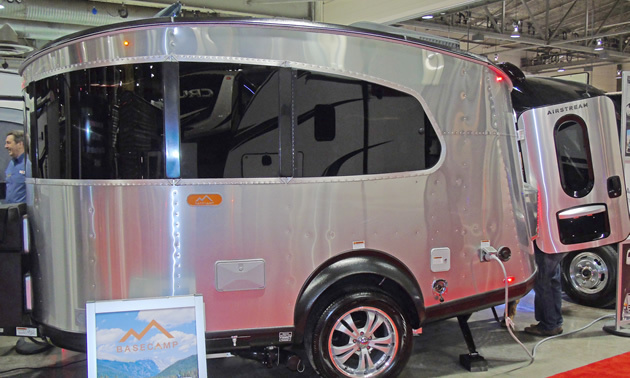 Many of the trailers are light enough to tow with a four-cylinder vehicle. 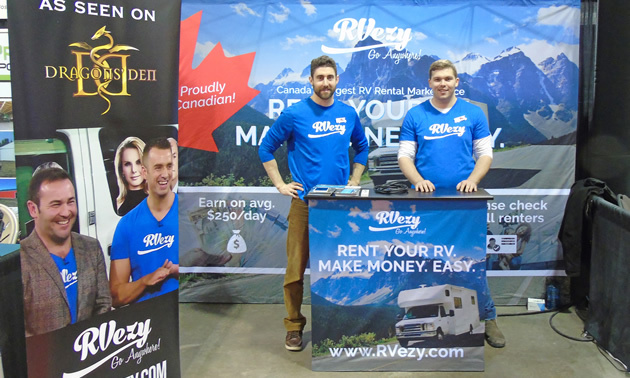 RVwest representative Stephen White attended the expo and shared some of his photos with us. Here are his impressions of just a few of the units he inspected. 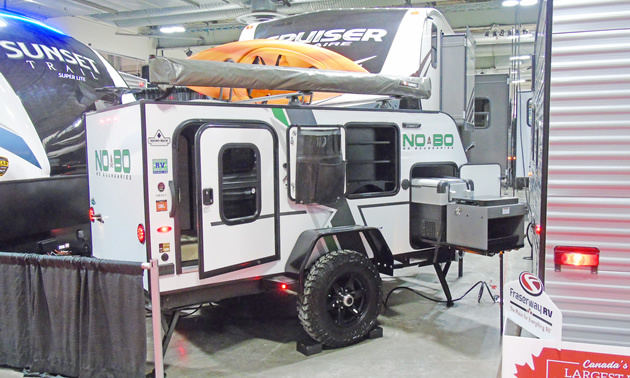 This family hooked up their small A-frame trailer and drove on the famous–maybe notorious–Dempster Highway. 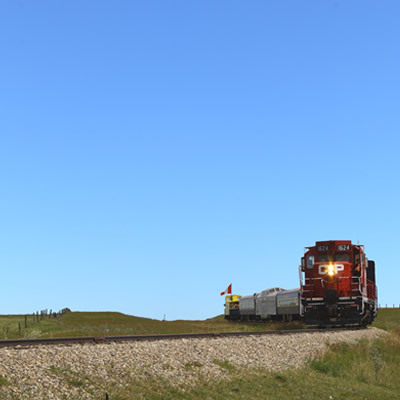 Aspen Crossing in Alberta is a train-themed tourist destination—celebrating our railway ties!